Keep it relaxed and beachy in a breezy Alternative Ladies’ Eco-Jersey Maxi Dress and metallic flat sandals. Supple fabric scores maximum points for eye-catching style. 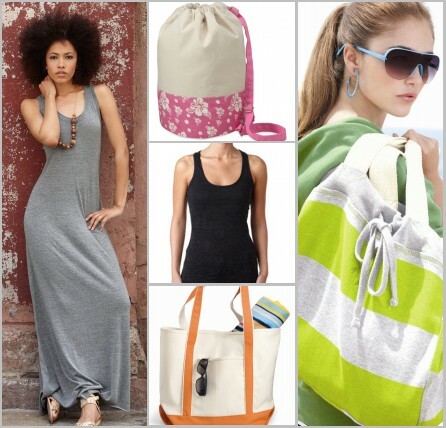 Throw a swimsuit, towel and sunscreen in a roomy HYP Beach Tote and layer on your brightest jewelry. Coming in 21″ x 15.5″ x 6.25″, the tote features internal key fob and front outside pocket. We love it when a trend just happens to be cool and comfortable. Black slip-on sneakers add instant attitude to your boyfriend jeans and Next Level Burnout Razor Tank, and let you explore a city from dawn to dusk with ease. So rock the hottest burnout racer back tank around, and enjoy the supreme softness while wearing it. Moreover a chain-embellished crossbody is the finishing touch to this edgy ensemble. It’s super easy to style an all-in-one beach outfit for a man. 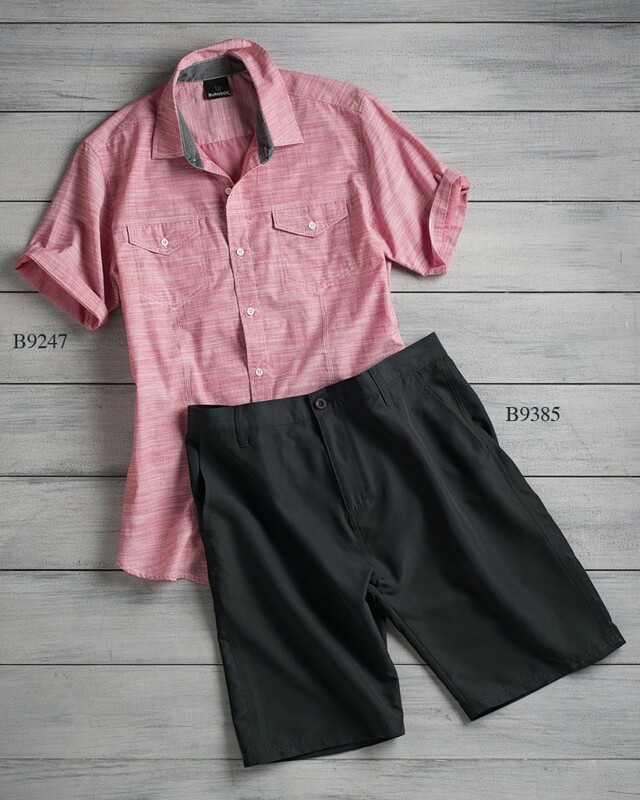 Pair this Burnside Mini-Check Short Sleeve Shirt with Burnside Microfiber Shorts to keep you look casual and cozy. If possible, you can take the shirt off and totally enjoy the sunshine and beach breeze on you. 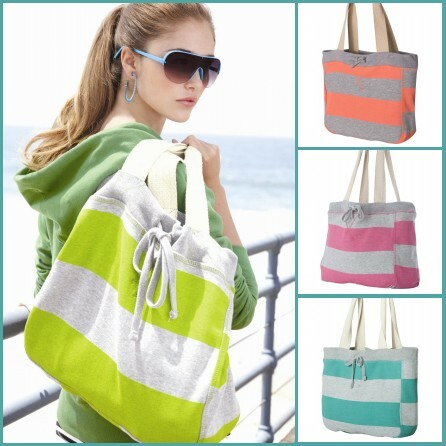 A cotton beach tote is a wardrobe must-have. And the best thing is that you don’t even need the beach to carry one. And referring to the HYP Beach Duffel and MV Sport Pro-Weave Beachcomber Bag, they work just as well as in the city and can even double as work bag. The beach bag screams good vibes and sunshine. If these items cannot meet what you need, please feel free to visit NyFifth.com for more summer products. And let me know what you think on the comment below.